If you hate queues and have always dreamed of having a theme park all to yourself, become a videogame sound designer. “The most creative, technically intricate theme park sim to date” – here’s our Planet Coaster review. 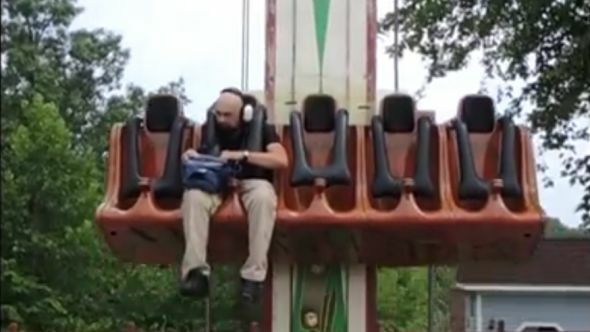 That’s the lesson of two brief YouTube videos from sound designer Watson Wu, who was hired by Frontier Developments to capture authentic noises from various theme park attractions. He needed to control the environment, as he explains in the first video, meaning no screaming kids or muttering crowds. Unfortunately, he lives in Florida, where theme parks are open all year round. He wrote to dozens of parks across the USA until one in Indiana replied, giving him the run of the place for a whole day. Planet Coaster is available on Steam now, where you can enjoy its charming trailers, or own it in exchange for £29.99 or $44.99 US.